Bed bugs are parasitic insects that feed on the blood of warm-blooded animals. They typically feed on humans while they sleep, injecting saliva that numbs the bite area and prevents blood from clotting. Bed-bug bites can cause red, itchy bumps. According to Dr. Susan Jones of Ohio State University, a bed-bug infestation typically starts in the tufts of mattresses before spreading to seams and crevices in furniture, baseboards, draperies and carpeting. When you bring home used furniture, you can't always tell whether or not it has bed bugs. Treat all used furniture for bed bugs before placing it in your home. Clean all used furniture to remove bed bugs and their eggs. Keep all used furniture outside until you have treated it for bed bugs. 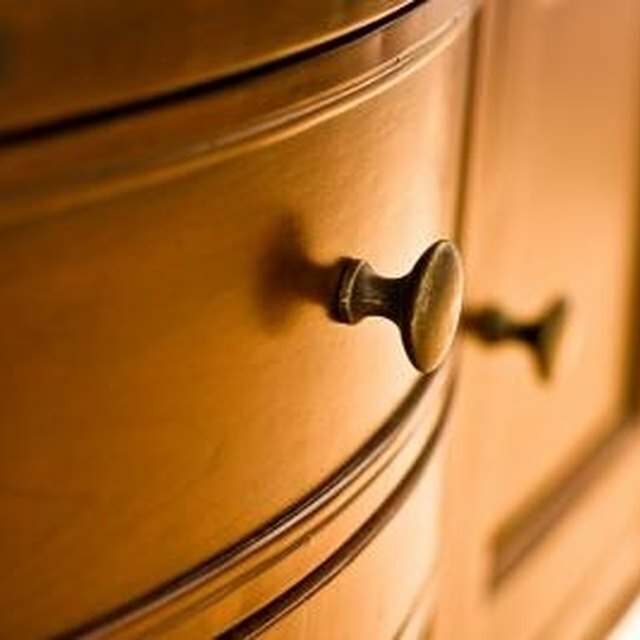 Disassemble the furniture as much as possible, removing any drawers or cushions. Mix dish-washing soap and water in a bucket. Apply soapy water to each piece with a clean sponge. Rinse with water from a garden hose. Vacuum the furniture using the crevice attachment. Reach between wooden slats and any non-removable cushions. Thoroughly vacuum any holes, crevices or seams to remove bed bugs and their eggs. Remove the vacuum bag, seal it in a black garbage bag, and place it in an outside trash can. Run any slipcovers, pillows or other washable components through a hot-water cycle in your washing machine and the highest temperature setting in the clothes dryer, for at least 30 minutes. Seal items that cannot be washed securely in the black garbage bags, and leave them in direct sunlight for 24 hours. Smaller items sealed in a black garbage can be placed in a freezer for 24 hours. The presence of bed bugs does not indicate a location is not clean. Rooms that are properly maintained can still be home to these pests.